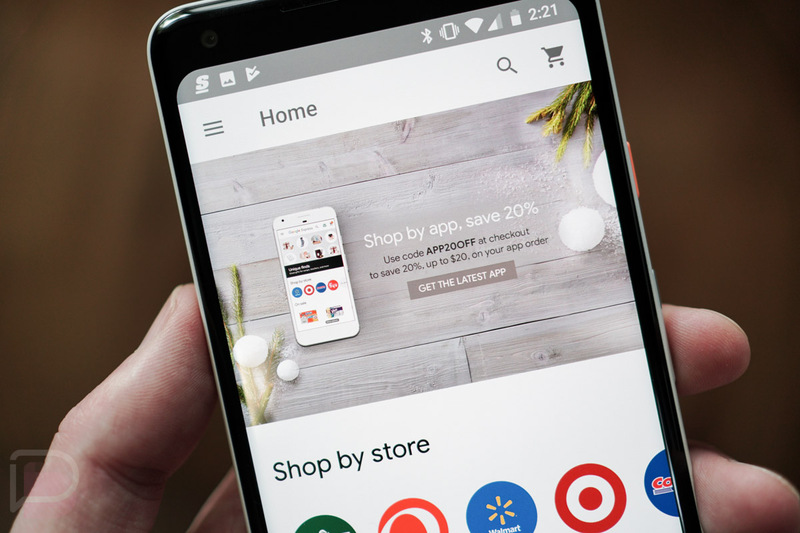 Google Express is currently running a deal that will take up to $20 off an order placed through its Android or iOS apps. It’s actually a 20% off promo, but it maxes out at $20. To get the 20% discount, use coupon code “APP20OFF” at checkout. From what I can tell, it works on anything you order as long as you order from within the Google Express app. Whether you need groceries or a new tech gadget, you should be able to get up to $20 off your order. A couple of particularly good deals happen to involve the Google Home and Google Home Mini, which are already discounted at various retailers. If you should buy a Google Home through Google Express and choose Walmart as the retailer, you could land one for as low as $79.20, since the device is already discounted to $99. Want Google Home Mini? It’s currently discounted to $39, but this 20% off discount drops it to $31.20. These are Black Friday prices! To get setup on Google Express, all you need is your Google account. Wednesday Poll: What's Your Web Browser of Choice on Android?